Our last stop before heading for the Launceston Airport was at a picnic area that gave us a great view of the Batman Bridge. This bridge was named for John Batman, a Tasmanian businessman who, in 1835, was among those who sailed across Bass Strait to mainland Australia and founded the village that would become the city of Melbourne. Aside from thinking the bridge was strikingly handsome, I also found the concept of its construction interesting. The bank on one side of the River Tamar is solid rock and on the other is soft clay. The 300-foot high, steel, A-frame tower was anchored on the solid rock side, and it supports almost all of the weight of the bridge. 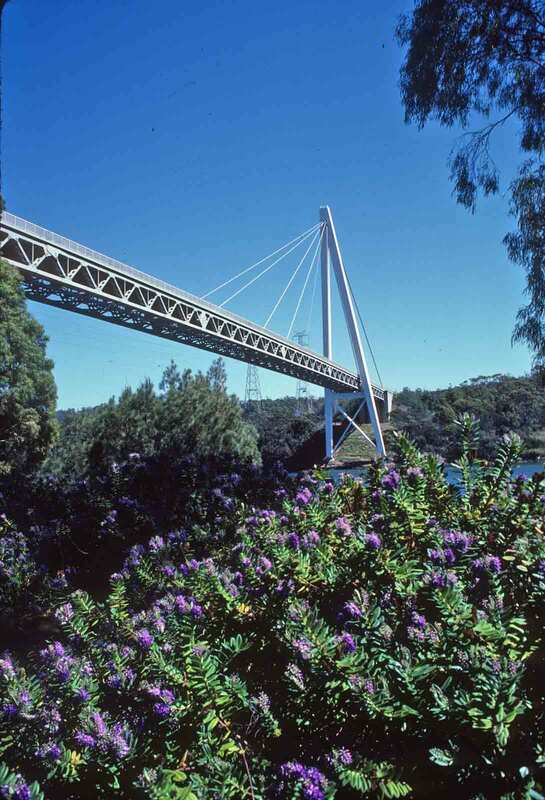 Opened in 1968, it was the first cable-stayed bridge in Australia. Aside from thinking it looked cool, I was pleased to be reminded that there are people out there who can create solutions to “impossible” engineering situations such as this one. In England, the River Tamar flows north to south across that western bit of land that projects into the Celtic Sea and bounds the English Channel. The river forms the historic boundary between Devon and Cornwall and separates Cornwall from the rest of England. Launceston, the ancient capital of Cornwall, is about a mile west of the river. So it was not a complete surprise, as we drove to Launceston, Tasmania, that we encountered another River Tamar. Tasmania’s River Tamar is formed by the joining of the North Esk and South Esk rivers (themselves named for rivers in England, though not, in this case, rivers in Cornwall), and it flows north into Bass Strait. About two miles across, the river can be navigated along its entire length. Aside from being important to commerce, it is exceedingly lovely, and it was its beauty we enjoyed, from a hilltop not too far away, as we finished the last leg of our Tasmania trek. The hilltop is known as Brady’s Lookout, for the “bushranger” (outlaw) Matthew Brady who in the early 1800s used it to get a clear view of the surrounding countryside. 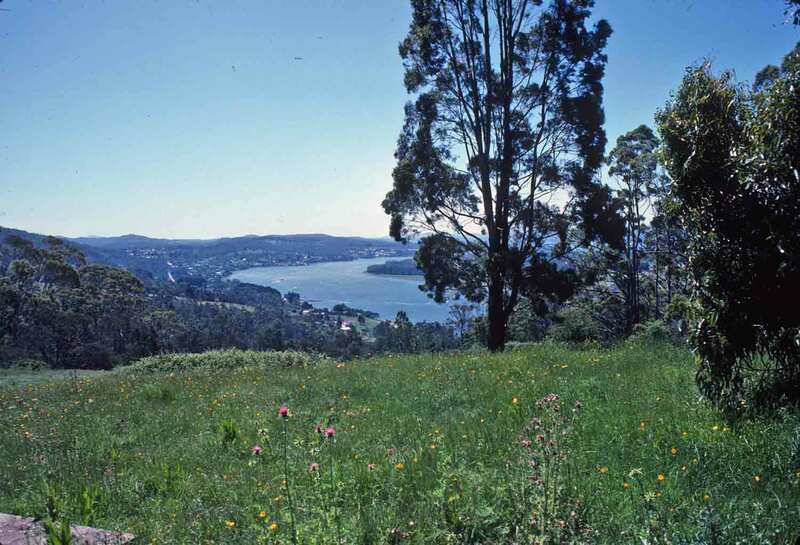 It still offers a splendid view, and on such a beautiful day, it was the perfect place to take in Tasmania’s greenery one last time. While the really overwhelming floral displays were in Western Australia, springtime in Tasmania still offered some delightful blooms. In the book, I mention having seen trigger plants in fields and along the roads. When I first heard the name, I expected to find out they were carnivorous—though to be honest, only the Venus’s flytrap has a potentially dangerous-sounding name. Sundew and pitcher plant don’t sound threatening, and bladderwort just sounds silly. There are, of course, a number of things with gun-related names that do have mechanisms that help it obtain food (the pistol shrimp, for example). 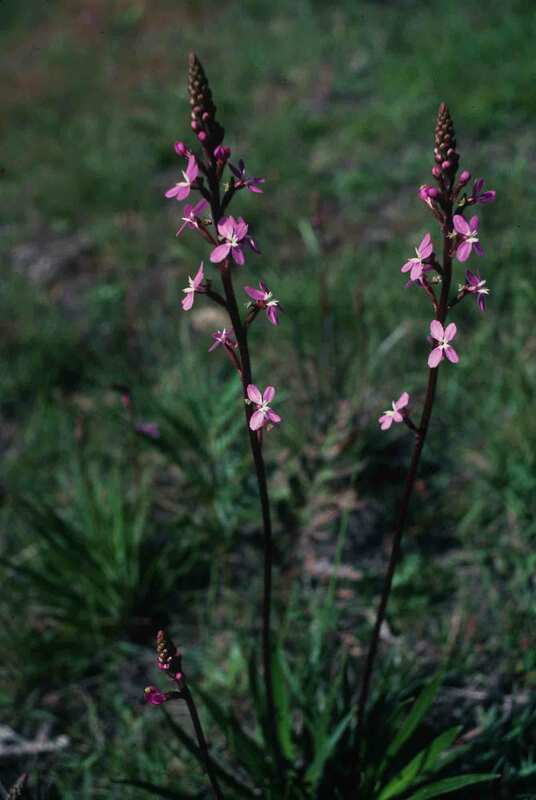 However, the trigger plant is not among those that uses it’s ability to “snap shut” to trap or injure. When triggered, this delicate little flower simply smacks a visiting bug, either dusting it with pollen or picking up pollen from another plant. 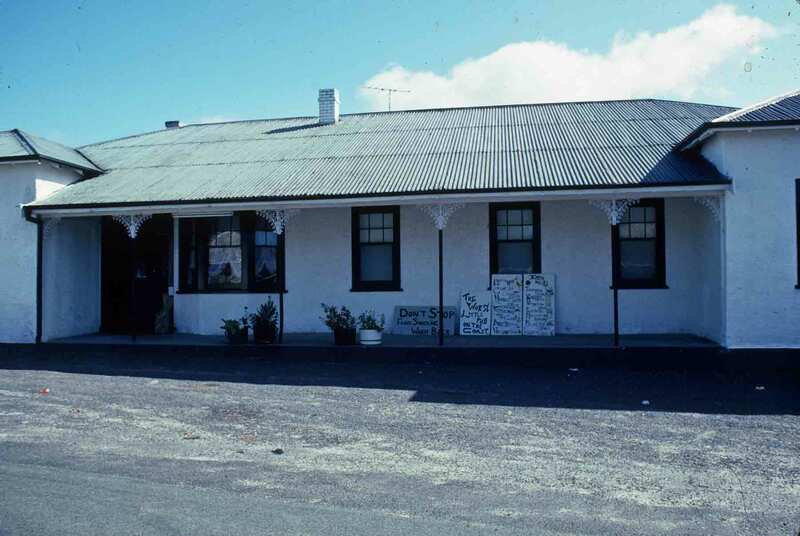 The Weldborough Hotel was originally built in the late 1800s and rebuilt after a fire in 1928. It’s classic Australiana. It offers accommodations for travelers and is well located for bush walking in the mountains, with the temperate rain forest close at hand. 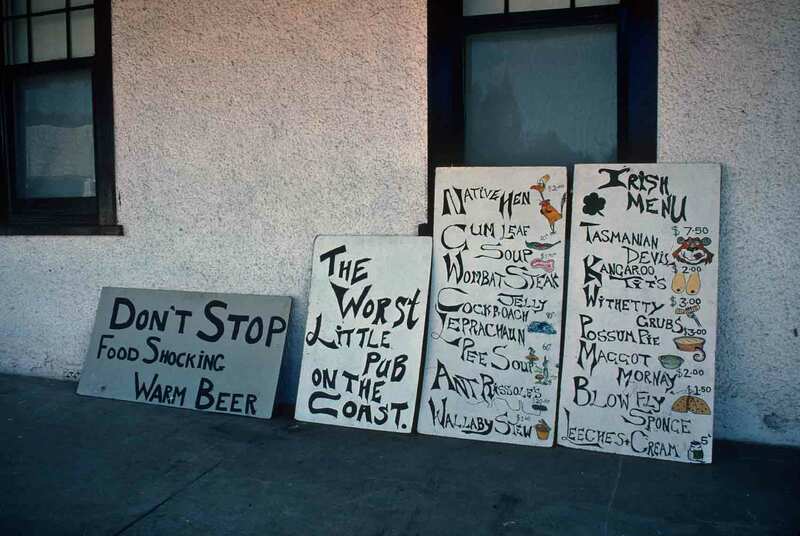 It is said to have an outstanding pub, though it was closed when we visited. While we didn’t get in, we still stopped briefly, to read the “menu” and enjoy the wonderfully skewed humor that is so common in Australia.